In large bowl, beat sugar, corn syrup, flour, bourbon, butter, vanilla and eggs with wire whisk. 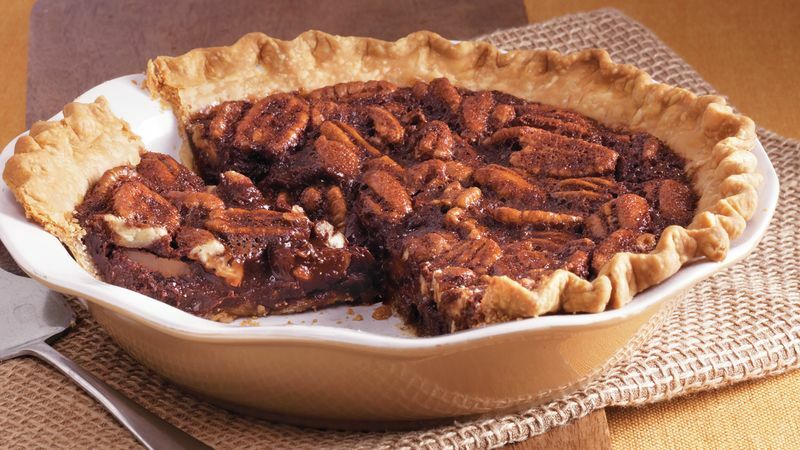 Stir in pecans and melted chocolate. Pour into crust-lined pie plate. Bake 48 to 50 minutes or until set. Cool completely on cooling rack, about 2 hours. Serve slices of pie with sweetened whipped cream. For an extra kick, add bourbon to the whipped cream (1 tablespoon bourbon to 1 cup whipped cream).